Beth Tzedec Congregation is pleased to announce the selection of the Christian faith for our sixth year of study and to invite Christian clergy from various denominations as our Lil Faider Interfaith Scholars-in-Residence Program. Dr. Michael Duggan is a native Calgarian who recently retired from St. Mary’s University where he was Professor of Religious Studies for 20 years. He holds degrees in theology and Sacred Scripture from Jesuit universities in Rome and a PhD in Biblical Studies from the Catholic University of America in Washington, D.C. His biblical research focuses on early Judaism and Christian origins. Dr. Duggan is active in interfaith dialogue in Calgary and beyond. Bishop William McGrattan is a native of London, Ontario and earned a Master of Divinity from St. Peter’s Seminary in London. 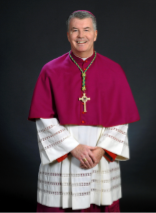 Bishop McGrattan was ordained to the priesthood in 1987 for the Diocese of London. He was ordained to the episcopate as Auxiliary Bishop of Toronto in 2009 and was appointed as Bishop of Peterborough, Ontario in 2014 and then was installed as the 8th Bishop of Calgary on February 27, 2017. His Excellency serves in a variety of capacities within the Catholic Church in Canada and engages in collaborative interfaith activities. Rev. Debra Faulk is in her 9th year serving the Calgary Unitarians. She received a BA in psychology and anthropology from University of Victoria and a Masters of Divinity from Vancouver School of Theology. She currently serves on the Leadership Team of the Calgary Interfaith Council and the Calgary Alliance for the Common Good. Debra’s passions are in the area of interfaith dialogue and addressing issues of equity and the environment. Rev. 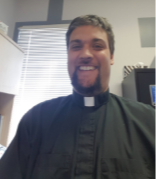 David Holmes (Knox United Church) Rev. Holmes was ordained in the United Church ministry in 1988. He began his training at the Vancouver School of Theology and then completed a Doctor of Ministry degree in Gospel and Culture at Columbia Theological Seminary in Atlanta, where his dissertation topic was on the practice of Sabbath. Rev. John Pentland is a spiritual teacher, public speaker, theologian and lead minister at Hillhurst United Church in Calgary since 2004. He is author of the Canadian bestseller: “Fishing Tips: How Curiosity Transformed a Community of Faith.” He holds a B.A. and Masters of Divinity from Emmanuel College in Toronto, a Masters in Theology from Princeton Theological Seminary, and a Doctorate in Ministry from the Chicago Theological Seminary. 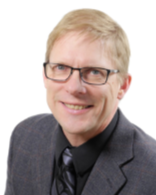 He is a graduate of Leadership Calgary and Executive Directions. Pastor Wallace Bornhuse (All Saints Lutheran Church) Pastor Bornhuse was ordained in the Evangelical Lutheran Church. His thesis focused on how Lutherans can engage in interfaith dialogue with Muslims. He has served All Saints for the past two years. Elder Larry Spackman (Church of Jesus Christ of Latter-day Saints) Elder Spackman has a distinguished record of service to the church as an Area Seventy, Stake President, Mission President, Bishop and missionary. He is also an active participant in Calgary interfaith activities. Rev. Adam Bedford (Westside King’s Church) Rev. 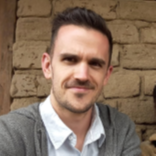 Bedford graduated from Canterbury Christ Church University in the UK before spending three years working with a Christian charitable organization in sub-Saharan Africa. 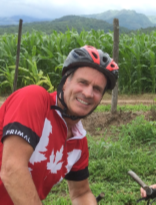 He moved to Calgary in fall 2014, taking on the role of Missions Pastor at Westide King’s Church. Rev. Anna Greenwood-Lee is the Rector of St. Laurence Anglican Church Calgary and the Director of the Wisdom Centre which hosts speakers, retreats and studies for people seeking to make sense of the shifting spiritual landscape of the 21st century. Rev. Greenwood-Lee earned her Master of Divinity from the Episcopal Divinity School in Cambridge, MA and was ordained in 2000. Mouse over to change pages on the following document.